» Home » News, News And Events » MSTLTT Project has been funded for another year! MSTLTT Project has been funded for another year! 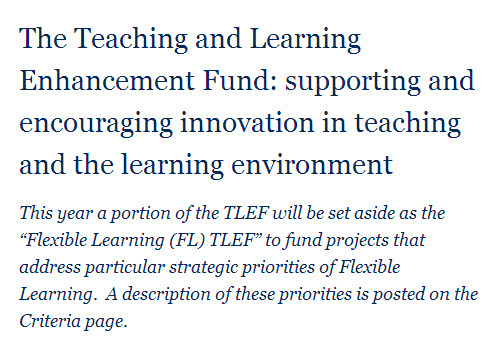 UBC Teaching and Learning Enhancement Fund funded our MSTLTT project for another year! It is the third year of funding and the continuous support from the UBC Teaching and Learning Enhancement fund is crucial in helping us change how mathematics and science are taught in the Province of British Columbia. The results of the first two years of project implementations had been disseminated through workshops, presentations, as well as informal events. For example, in April 2014 we will present the results of the project at the Annual Meeting of the American Education Research Association in Philadelphia – this is one of the biggest educational events in the world and their interest in our papers is another evidence that what we are doing here matters. Fisher, H., MacDonald, A., & Milner-Bolotin, M. (2014). Developing a tool to investigate teacher-candidates’ Pedagogical Content Kniwledge ina technology-based physics methods course. Paper presented at the American Educational Research Association Annual Conference, Philadelphia, PA.
MacDonald, A., Fisher, H., & Milner-Bolotin, M. (2014). Using Technology for Conceptual Learning in Physics Teacher Education: Engaging Teacher-Candidates as Learners and Teachers. Paper presented at the American Educational Research Association Annual Conference, Philadelphia, PA.